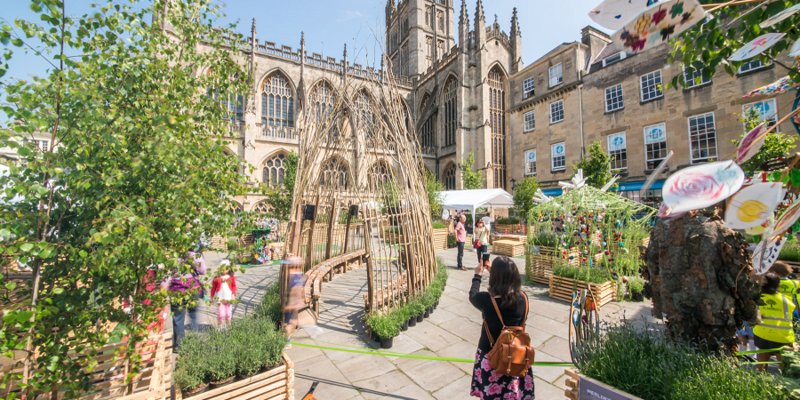 Bath to its public realm and landscape setting. It showcases the creative imagination of the city through the annual, temporary transformation of familiar city spaces, each with a strong underlying environmental narrative. Landscape architects are at the heart of this project: consistently demonstrating their capacity to lead, inspire and inform through creative design and collaborative working. Grant Associates masterplan each event and design and manage the physical transformation of the chosen sites. The FoI is a unique collaboration between the creative industries and the community of Bath. In just five years, its profile has helped the council move towards becoming a Child Friendly City and is recognised as a key project in the creative strategy. 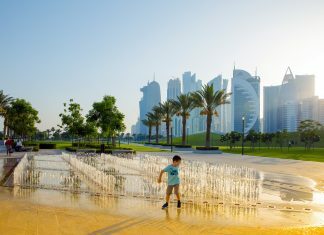 FoI has developed a methodology for bringing together a wide range of disparate people to transform a city space with a strong environmental message. The project also makes everything from borrowed, found or recycled materials as a way of highlighting the importance of sustainability. The success of FoI has also been recognised by national and international organisations, which have been inspired to develop similar projects in places like Manchester, Barcelona and Singapore.